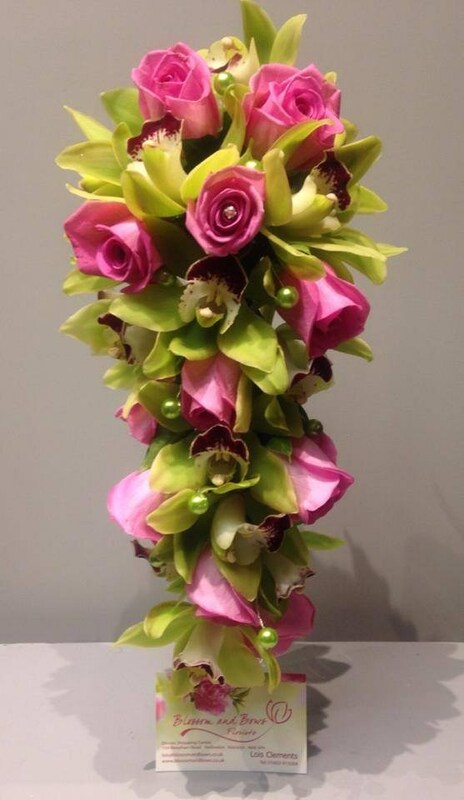 Rose and orchid shower bouquet with beads wire thought and finished with diamante's. Site Designed and Developed by Norfolk Web Support  - Copyright © 2014. All Rights Reserved.